Beaches and Bluffs of Puget Sound – Experts in Puget Sound coastal processes, management, and cost-effective design since 1993. 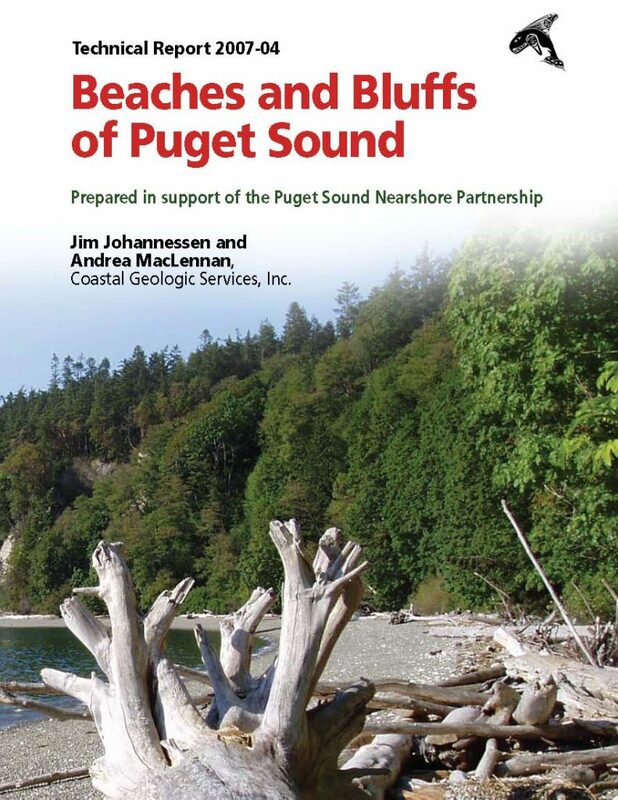 Coastal Geologic Services was contracted by the Puget Sound Nearshore Partnership (PSNERP) through the US Army Corps of Engineers (Corps) to characterize coastal bluff processes throughout Puget Sound and the Northern Straits including processes, trends, impacts and restoration. Sea Grant published the paper (on behalf of the Corps) as part of a series of Valued Ecosystem Component documents to aid in restoration planning throughout the region. The document is available online.